10/21/2016 – Fifteen years after their deaths from exposure to anthrax-laden mail, Joseph P. Curseen Jr. and Thomas L. Morris Jr. were remembered by their co-workers at a reflective and joyful ceremony on Oct. 21. A monument to the two APWU members was unveiled at the memorial outside the mail processing center that was renamed in their honor. More than 100 USPS employees and managers attended, as well as Curseen’s sister and brother-in-law. 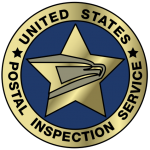 The Government Accountability Office has issued a report finding flaws in the way the FBI handled the 2001 postal anthrax investigation. After the 2001 Anthrax attacks, the genetic tests that were conducted by the Federal Bureau of Investigation’s (FBI) four contractors were generally scientifically verified and validated, and met the FBI’s criteria. However, GAO found that the FBI lacked a comprehensive approach—or framework—that could have ensured standardization of the testing process. As a result, each of the contractors developed their tests differently, and one contractor did not conduct verification testing, a key step in determining whether a test will meet a user’s requirements, such as for sensitivity or accuracy. Also, GAO found that the contractors did not develop the level of statistical confidence for interpreting the testing results for the validation tests they performed. Responses to future incidents could be improved by using a standardized framework for achieving minimum performance standards during verification and validation, and by incorporating statistical analyses when interpreting validation testing results. 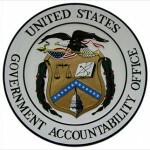 GAO identified six characteristics of a statistical framework that can be applied for analyzing scientific evidence. When GAO compared the approach the FBI used to this framework, it found that that the FBI’s approach could have been improved in three of six areas. First, the FBI’s research did not provide a full understanding of the methods and conditions that give rise to genetic mutations used to differentiate between samples of B. anthracis. Second, the FBI did not institute rigorous controls over the sampling procedures it used to build the repository of B. anthracis samples. Third, the FBI did not include measures of uncertainty to strengthen the interpretation of the scientific evidence. GAO found that since 2001 the FBI has taken some steps to build formal forensic statistical expertise. The FBI’s approach to future incidents could benefit from including such expertise early in an investigation. The lack of an understanding of how bacteria change (mutate) in their natural environment and in a laboratory is a key scientific gap that remains and could affect testing conducted in future incidents. Specifically, the significance of using such mutations as genetic markers for analyzing evidentiary samples to determine their origins is not clear. This gap affects both the development of genetic tests targeting such mutations and statistical analyses of the results of their use on evidentiary samples. The Department of Homeland Security is currently funding some research on genetic changes in bacteria and genome sequencing methods, among others. Such research is a step in the right direction since the FBI is planning to use genome sequencing methods in future investigations. However, because this research may not be complete for several more years, the extent to which it will close this gap is not known. In 2001, the FBI investigated an intentional release of B. anthracis, a bacterium that causes anthrax, which was identified as the Ames strain. Subsequently, FBI contractors developed and validated several genetic tests to analyze B. anthracis samples for the presence of certain genetic mutations. The FBI had previously collected and maintained these samples in a repository. GAO was asked to review the FBI’s genetic test development process and statistical analyses. This report addresses (1) the extent to which these genetic tests were scientifically verified and validated; (2) the characteristics of an adequate statistical approach for analyzing samples, whether the approach used was adequate, and how it could be improved for future efforts; and (3) whether any remaining scientific concerns regarding the validation of genetic tests and statistical approaches need to be addressed for future analyses. 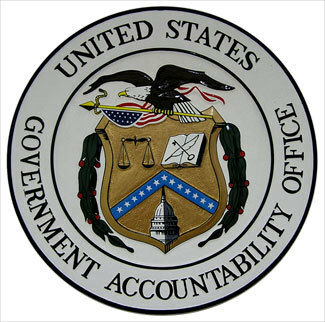 GAO reviewed agency and contractor documentation, conducted literature reviews, and conducted statistical analyses of the repository data. GAO’s review focused solely on two aspects of the FBI’s scientific evidence: the validation of the genetic tests and the statistical approach for the analyses of the results. GAO did not review and is not taking a position on the conclusions the FBI reached when it closed its investigation in 2010. GAO recommends that the FBI develop a framework for validation and statistical approaches for future investigations. The FBI agreed with our recommendations. Read more: U.S. GAO – Anthrax: Agency Approaches to Validation and Statistical Analyses Could Be Improved. HAMPDEN, Maine (NEWS CENTER) — If a suspicious package shows up at the United States Postal Service facility on Penobscot Meadow Drive in Hampden, there is a disaster plan ready to be put into effect. Making sure that everything is done by the book can save lives, which is why the postal service hosted a disaster drill at the Hampden distribution center. The facility handles mail for all of eastern Maine, so employees need to be prepared for the worst. A drill held on Tuesday was a practice run for law enforcement and employees on how to respond to a suspicious package. The training lesson was geared towards knowing how to react to potentially dangerous situations. The exercise included an evacuation of the facility, arrival of emergency vehicles, and decontamination activities. Read more: USPS emergency drill prepares workers for real event. McALESTER — A woman with a PO Box at the McAlester Post Office received a scare Sunday morning when she found an unmarked package with an unidentified white powdery substance inside, according to police. Det. Sgt. Chris Morris said that the powder was shipped to be tested. It is believed to be headed to Oklahoma City for the testing. Morris also said that the investigation is now being handled by the postal inspector and the FBI. Read more: Police, Fire respond to call of powdery substance found at McAlester Post Office. » Breaking News » McAlester News-Capital, McAlester, OK.
For weeks Ottilie Lundgren hadn’t been able to shake a pesky cold, so when her niece Shirley Davis visited her Oxford home on a Friday morning and found the 94-year-old woman was having difficulty breathing, they went to the hospital. Lundgren loved to read a good mystery but seemed an unlikely candidate to become a central character in one. But that is exactly what happened after Davis brought her to Griffin Hospital in Derby on Nov. 16, 2001. For days doctors did tests trying to find out what was making Lundgren so sick. It wasn’t until one doctor tested for anthrax that the reality set in — somehow a mostly housebound elderly woman had been poisoned with the same anthrax that had been sent to U.S. senators and media outlets. Read more: Deadly Letters: Oxford Woman, 94, An Unlikely Victim Of 2001 Anthrax Mail Attacks – Courant.com. 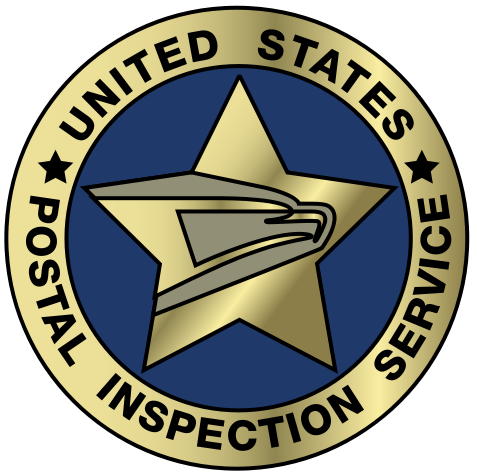 (Memphis) After the 2001 anthrax attacks, the United States Postal Service installed Detection Systems to detect the presence of anthrax in many of their processing and distribution centers. However those systems do not detect ricin. “I know it does test for many things. I’m not sure if ricin is one of those. I know it does test for anthrax,” said David Walton from the United States Postal Service. However offsite mail facilities in Maryland were able to detect ricin in letters addressed to Senator Roger Wicker and President Barack Obama. Read more: Detection System at Memphis Postal Center Didn’t Detect Ricin | WREG.com. In 2001, anthrax spores found in letters mailed across the country were responsible for killing five people and sickening 17 others, shutting down the U.S. Postal Service in certain areas and alarming Americans. A panel of scientists, led by Lehigh President Alice P. Gast, was charged with reviewing the scientific evidence related to the FBI investigation of the anthrax letters. The panelâ€™s report found that it is not possible to reach a definitive conclusion about the origins of the anthrax in letters based on the science alone. â€œWe find the scientific evidence to be consistent with their conclusions but not as definitive as stated,â€ Gast said during a news conference in Washington, D.C. She emphasized that this case rests on the complex interface between science and the law enforcement investigation. The panel, after reviewing 9,600 pages of material, could not rule out that there were other sources of the anthrax spores. In 2008, the FBI asked the National Research Council to appoint a panel to conduct an independent review of the scientific approaches, methodologies and analytical techniques used in its investigation and to determine whether the FBI reached appropriate scientific conclusions. Panelists whose expertise included microbiology, medicine, physical chemistry, biochemistry and forensic science were not asked to judge the law enforcement investigation. The FBIâ€™s investigation connected the letter materials to a flask in the lab of a researcher at the U.S. Army Medical Research Institute for Infectious Diseases (USAMRIID). Click here to view a webcast of the panelâ€™s findings.